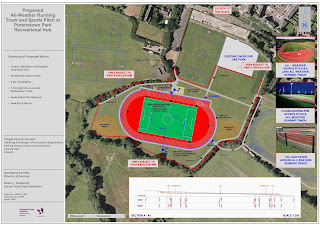 A public consultation process has commenced on the proposed provision of a combined all-weather Running Track and Sports Pitch located at Porterstown Park in Dublin 15. 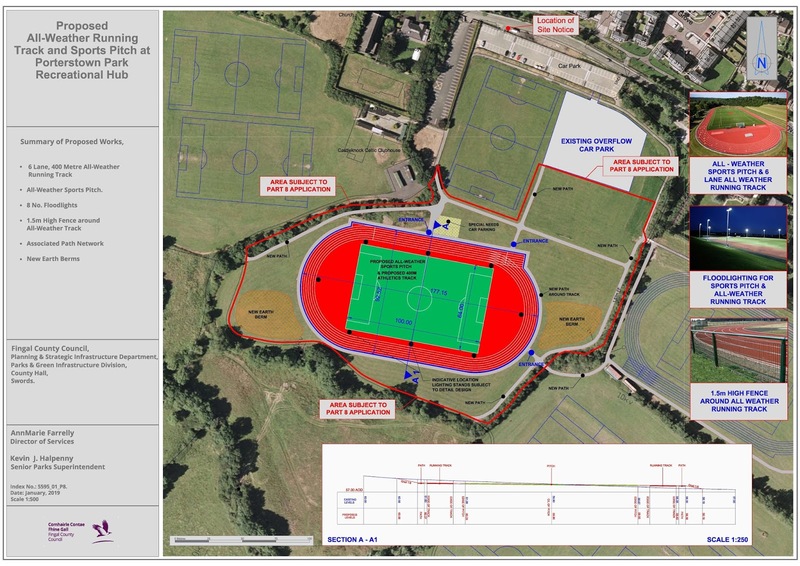 If approved, the proposal will result in the development of a major new active recreational facility available for use by a large number of clubs, schools and community groups in the wider Blanchardstown area. 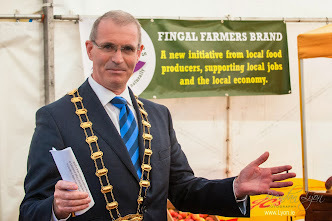 The project includes the first-ever public floodlit all-weather athletics track provided by Fingal County Council designed to meet daytime and evening training requirements for a wide range of sporting codes. The 3rd Generation floodlit sports pitch will be available for training and competition purposes. The Council looks forward to continuing constructive engagement with local sports clubs in relation to these exciting proposals. Fingal County Council Offices, County Hall, Swords, Co. Dublin and the County Council, Civic Offices, Grove Road, Blanchardstown. Plan for the Royal Canal Urban Greenway.